We get a lot of questions regarding the use of a power of attorney during a real estate transaction. We often get a phone call saying, “Hey, I’m not going to be in town that day, can somebody else sign the documents for me to sell my house?” The answer, like a lot of answers in our business, is yes and no. Very technically, you could provide a power of attorney to another individual that you trust to sign documents to effectuate your transaction. Now, that may not make people on the other side of the transaction or other parties in the transaction happy. For example, title insurance underwriters typically do not like the seller to delegate the authority to sign the deed to a non-party. They typically say, “Well if the seller has to sign four documents, we are ok with the power of the attorney signing documents 1,2, and 3; but we would rather have the seller sign the deed.” Now, that’s not a requirement or a strict obligation. But sometimes the underwriter will give the title agent or the closer a little bit of a hard time. Be very careful that you trust the person you are going to give the authority to. Make that decision or ask the questions about that with enough time to allow your Lawyer or Realtor, or your closing professional, with sufficient time to react to that request, prepare the appropriate documents, and get all the required approvals, so that is not an impediment to a smooth closing. 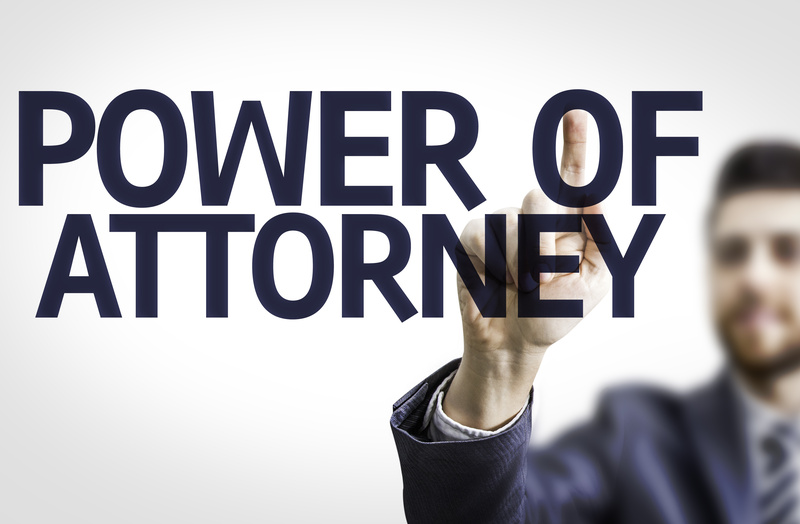 The bottom line is one may be able to use a power of attorney during a real estate closing. However, the power of attorney should be prepared carefully and with ample time. If you need any help with your real estate transaction, please give us a call as we are happy to help.